a Japanese dish consisting of various bite sized parts from chicken on wooden or bamboo skewers that is cooked on top of a grill. 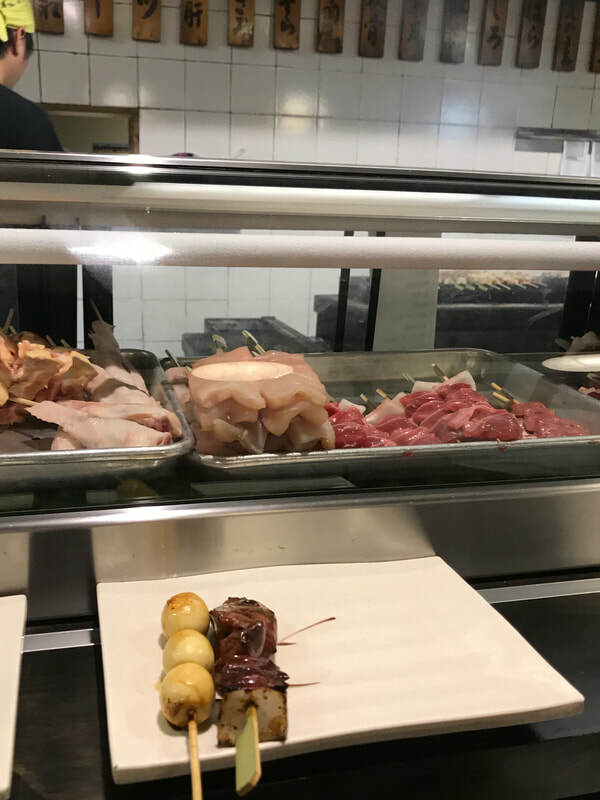 Yakitori is served at yakitoriya (yakitori shops) or kushiyakiya (skewered item shops) where various skewers of chickens and often vegetables or other meats are grilled and served with drinks and other small side dishes. "What should we eat? We had ramen last night, so I'd vote for yakitori tonight!" Chicken, Beers, Friends, and Cheers!